This home won't disappoint those looking for a delightful home and value for money. 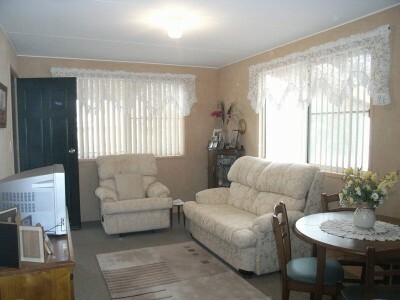 Suitable for retirement living this charming one bedroom home with a sun soaked sunroom for those overnight guests. Open plan in design, and with nothing to spend, this delightful home offers "The Sanctuary Lifestyle". Enjoy the swimming pool (when summer rolls around), take in a game of tennis with friends and join in with the many organised activities on offer in our spacious community room. Call Angela on 4942 6355 or 0404 525 295 for more details on this home or visit our website for other quality homes for sale at www.sanctuaryredhead.com.au Home Park living offers:- A small, weekly rental fee which can be further reduced if you are eligible for Government rental assistance No legal costs or stamp duty on home purchase No exit fees when you resell All of the Capital gain A willable asset No body Corporate levies No Council Rates No land tax Easy maintenance On site swimming pool A quiet, safe and family owned village with on site management Long Term secure tenancy Add up the savings of having all these facilities and services covered by the one, small, weekly rental fee: Imagine if you were still living in a traditional home and having to pay for all pool maintenance and chemicals, plus government charges. It would cost a fortune. Fortunately, all these benefits, and a great many more, are covered by your nominal rental fee. No land purchase - Buy the home - rent the land and you will have money left over to invest. A resident's right to occupy residential premises under the Residential Tenancy Agreement is a leasehold right only, and not a freehold or other right of an unlimited or perpetual nature and may, in certain circumstances, be terminated. You may also be eligible for the Govt first home buyers grant. Call Angela on 0404 525 295 for more details on this home or visit our website for other quality homes for sale at www.sanctuaryredhead.com.